This Rizal stamp was overprinted in red in 1966 as part of Marcos' campaign against smuggling. The "Pres. 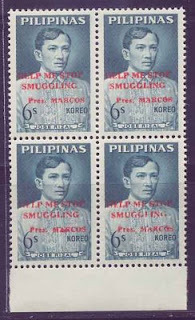 Marcos" inscriptions on the stamps on the right are aligned lower than those on the left stamps; also, the "o" in "Marcos" have embedded an inverted apostrophe. The overprint on the last stamp is also not complete. 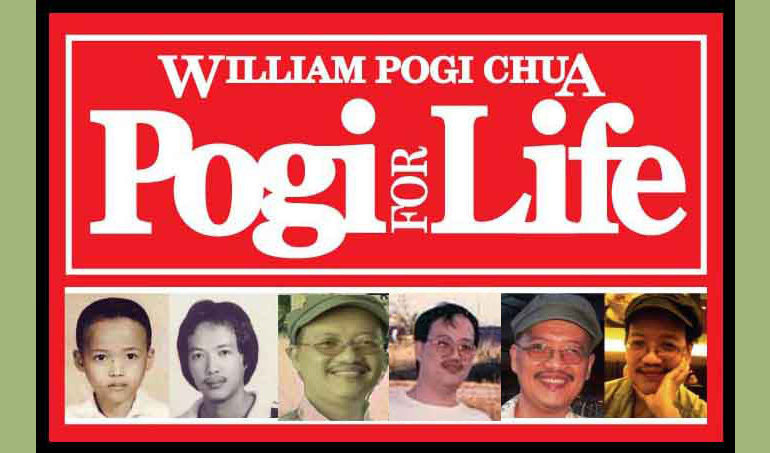 In fact, all four stamps are somewhat different in one aspect or another.